Which BV Product is Right for You? ISO Finishing is the sole distributor for BV Products in the United States. 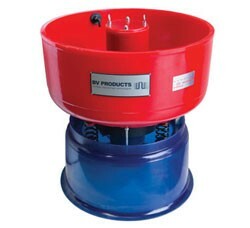 BV Products has been the pioneer in designing and manufacturing all cast polyurethane vibratory finishing equipment. Their engineering and process development over past 40 years has made their products the most innovative, comprehensive and cost-effective vibratory surface finishing solutions available. 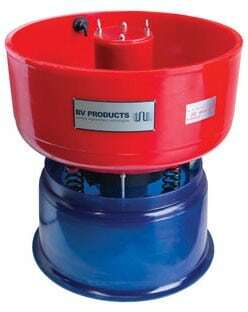 BV has a proven track record as the gold standard in vibratory technology throughout Australia and Asia. By adding BV products to our extensive lineup of mass finishing equipment, ISO Finishing is able to show US manufacturers of all industries first hand the value and capabilities of the these state of the art machines. BV’s industry leading 5 year warranty and their experience gained through the successful installation of thousands of machines, gives North American customers the confidence to incorporate these efficient, cutting edge machines to their finishing program. ISO Finishing understands that one size doesn’t fit all of the needs of customers, parts and budgets. We pride ourselves on listening to the specific needs of customers and developing the best solution based finishing system possible. From the initial inquiry through delivery, ISO Finishing works closely with BV Products to provide the best combination of machine, media and processing parameters to achieve the best possible surface finishing results. 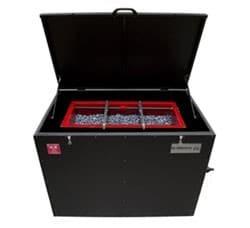 By having a comprehensive range of BV Products equipment on the floor of our job shop we are able to demonstrate the unique features of several different machines used in various applications. The customer has the opportunity to witness the performance and have any questions answered as they arise, not weeks later on the shop floor. ISO Finishing is driven to offer customers the most effective, timely, cost efficient surface finishing solutions. ISO Finishing offers the full line of BV Products that include; vibratory finishing, disc finishing, drag finishing, centrifugal barrel finishing, wastewater treatment, media & chemical compounds, and even refurbished machinery. This technology can be used within many different industries, but is mainly applied to automotive gear train systems and certain engine components (like crankshafts and camshafts). The motorsport industry is especially interested in this technology. Other uses include wind turbines, aircraft components, and medical equipment where long service life is essential. Our partnership with BV Products also allows us to provide a range of totally refurbished machines to our customers who do not wish to invest in new equipment. These bowl or trough machines of varying capacities have been stripped down, have a brand new hot cured polyurethane lining, repainted, are fitted with a brand new vibratory motor and control gear and carry a new machine warranty. 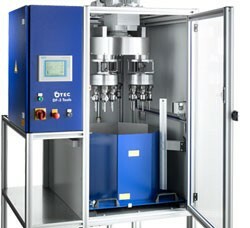 The inventory of refurbished machinery is constantly changing. The best way to find out what is available is to give us a call.